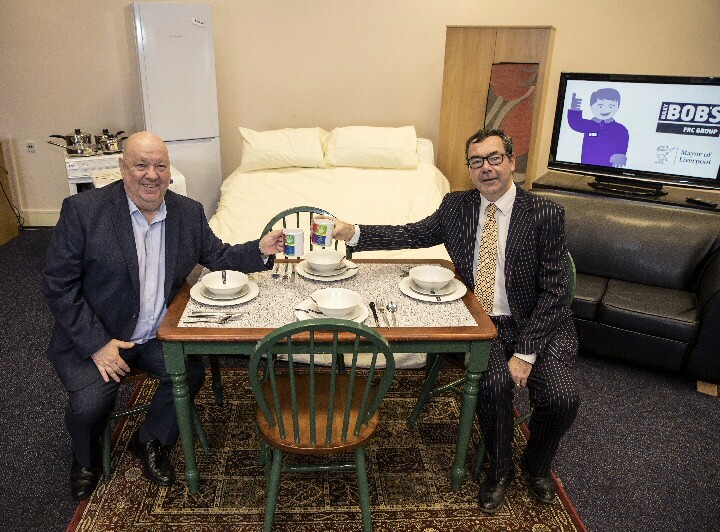 PEOPLE and families in crisis in Liverpool are getting extra help to improve their living standards through special emergency furniture packages. Each year the City Council supports more than 3,000 people and low income families each year who are struggling to furnish their homes with essentials through its Liverpool Citizens Support Scheme. But now there is even more help available thanks to a special partnership between the Council and City based social enterprise. 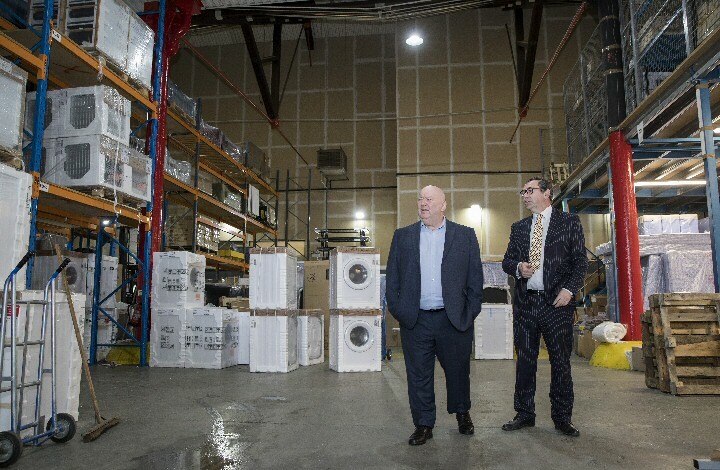 Mayor of Liverpool Joe Anderson has teamed up with FRC Group to provide those in most need with everything they need to kit out their homes. Called:- 'The Safety Net,' the scheme provides packages of essential furniture items, including:- sofas, beds, cupboards, household items and white goods such as cookers and fridges. 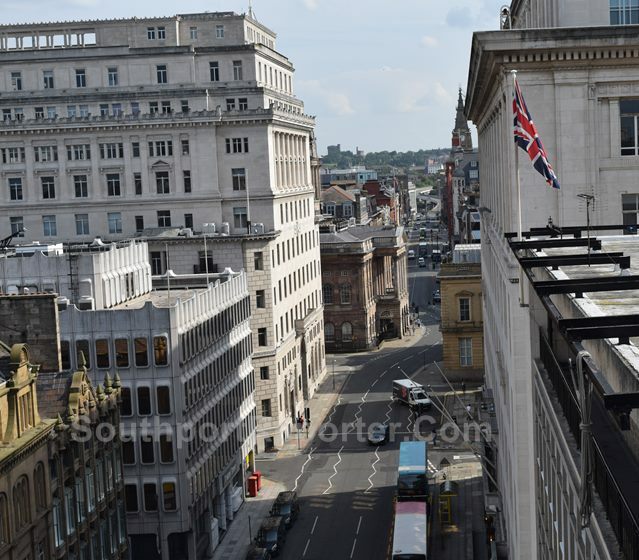 People are referred to the scheme by the Council, the Citizens Advice Bureau and others, often when they have exhausted the other forms of welfare support that are available in Liverpool. FRC Group Chief Executive Shaun Doran, explains:- "We have given away pre-loved furniture to over 55,000 families over the past three decades. Because this year is our 30th anniversary, we wanted to do something special and give away 30 of these full furniture packages. The items are collected from our Bulky Bob's removal service, brought back to our base and are cleaned and thoroughly checked. We then invite the people who are to receive them into our showroom to choose what is best for them. Many of the people referred to the service are in poor health, have low household incomes and are struggling with unmanageable debt. The support we have provided means that households have more money available to spend on food and fuel." The scheme began just before Christmas and is already giving people a real lifeline. In 1 instance a woman was faced with the choice between buying a bed for her 3 year old or paying for food and fuel. Typical comments from those people who have received help from the FRC Group and Liverpool City Council include:- "The furniture made a huge difference to me. We'd been on a camp bed and blow-up bed `put our clothes in. Before that we had nothing. We have saved a fortune as well; we were living out of the chippy before we got the cooker and fridge, which was really unhealthy." Mayor of Liverpool Joe Anderson said:- "It is heart breaking to hear that people in our City are forced to make a choice between feeding their children and having some of the basic items that many of us take for granted. Our fear is that as the Government continues with welfare reforms such as Universal Credit, the number of people need this kind of help will only increase. We already provide more support for vulnerable people than anywhere else in the country and we will continue to do all we can to help those who need it the most." If you are worried about debt, are facing rent arrears or homelessness then help is available. Visit the Liverpool Come2gether website for more information:- Liverpool.Gov.UK/Come2Gether. ANDY Burnham's flagship 'A Bed Every Night' shelter has permanently closed fewer than 3 months after opening. The news comes just 48 hours after Manchester Council approved spending ₤1.2m on fountains; enough to house every single rough sleeper in Manchester for a year, along with a hot meal, warm shower and access to a support worker. The homeless shelter in Ardwick launched with a huge organised press launch in November 2018, but only opened a handful of times before closing its doors for good, on Christmas Eve, due to basic structural and electrical problems. There have been numerous concerns raised about how the scheme was being run in Manchester, with reports of people being turned away if they didn't arrive before 7pm. Manchester Liberal Democrat leader John Leech, who works continuously with people struggling to overcome the Council's "absurd hoops," said:- "The launch of this scheme was a pitch perfect PR stunt; in the weeks leading up to Christmas, journalists and the media were chaperoned around the shelter in a heart aching display of just how much homelessness has become a political football. Now that the media have moved on, the shelter is quietly closing its doors fewer than 3 months after opening. But just days prior, Labour also wasted ₤1.2m on revamping failing fountains; that's enough to house every single rough sleeper for an entire year. Labour must stop wasting money; no more vanity projects, no more fountains, no more comfy chairs, no more senior pay rises; nothing; all this waste has to stop! It's not just gross incompetence and a complete lack of priorities, or even just a national embarrassment, but a critical and consistent failure of a system that simply doesn't care." STEVE Rotheram, Metro Mayor of Liverpool City Region, has unveiled his key priorities and budget proposals for Liverpool City Region in 2019/20. The proposals, to be published in a Combined Authority report, outline an ambitious programme of mayoral priorities including:- jobs, skills, transport, super fast digital connectivity, housing and economic development for the City Region. The budget will also outline how much residents will be asked to contribute through a precept to enable the Metro Mayor and Combined Authority to deliver these priorities. Under the proposals, 95% of households that pay Council Tax will pay no more than 32p a week, in order to raise ₤7.6 million per year. 96% of the money raised will enable the Combined Authority to develop and deliver its initiatives, while 4% will cover the running costs of the Metro Mayor's Office. Steve Rotheram said:- "The most successful Regions all have a strong vision and a long term plan. Devolution gives us the opportunity to work together as a Combined Authority to develop those plans so we can compete with anywhere in the world. By pulling together the assets of the 6 districts of the Liverpool City Region we can stimulate inclusive economic growth that benefits all of our communities. We receive no ongoing Government funding for the running costs of our Combined Authority and so we have no option but to ask residents to contribute through a small precept. However small, we know that this is an added burden and so have kept that contribution as low as possible. For 95% of residents it will be no more than 32p per week. I have repeatedly lobbied for proper Central Government funding but so far without success. In the face of continuing austerity we cannot expect our 6 local authorities to carry on funding the combined authority. The devolution deal is the only way we can secure the funds we need to transform our City Region, and we have already brought in hundreds of millions of pounds that we would otherwise not have had, including ₤183m in the 18 months since I became Metro Mayor. We are now delivering real benefits to the people of the Liverpool City Region. The Combined Authority has already approved ₤400m in funding for projects which will create 9,000 jobs and 5,500 apprenticeships. We recognise this is an additional cost, but it will pay dividends. Based on our performance so far, the precept will enable us to bring in up to an additional ₤600 of funding per household per year. We expect to secure up to ₤1 billion over the next 5 years, which we will continue to use for the benefit of the people of the City Region." Key projects already being delivered by the Combined Authority include the launch of a new ₤500m Strategic Investment Fund, ₤6m fund to support local high streets, delivering ½ price bus travel for apprentices, starting the roll out of a new 600km cycling and walking network, creating the borough of culture, taking forward plans for Mersey Tidal Power and delivering a new, state of the art fleet of Merseyrail Trains. The Metro Mayoral priorities and budget proposals will be considered by the Combined Authority at its meeting that is due to be held on Friday, 1 February 2019.